Early diagnosis and treatment improve the outcome of most cancers. This study analysed causes of delays and the impact on treatment. 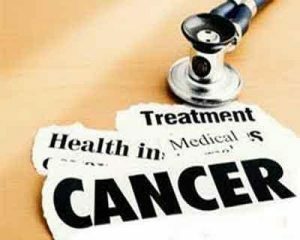 A prospective audit was conducted of all 162 cancer patients referred by primary care physicians to the Department of Radiotherapy and Oncology in Chandigarh during one month. The following dates were recorded for each patient: first cancer related symptom noticed by patient, first consultation with primary care physician, first oncology consultation, date therapy began (and intent of therapy — curative or palliative). There was an average total delay of about six months between the first symptom and the initiation of treatment. Patients and primary care physicians contributed statistically significant delays — an average of four months and three weeks, respectively. Oncologists delayed for an average of ten days but this did not significantly contribute to the overall delay. % present in poor gen condition or with co morbidities or with tumor st. So advanced which permit only palliative care.In the rest it is imperative to workup the patient for curative treatment and at a well equipped cancer center tertiary. Care teaching hospital it should not take more than 10 days to do endoscopies and cross sectional rafiologic examination before presting to a Multidis iplinary Tumor board.Thereafter treaTment is dependent on scheduling for surgery or chemoradiation protocols and patient accepting the same. Patient illiteracy and affordability seem To be the main deterrent to deleveiry and compliance to optimal cancer care which yields 40- 55 % 5 year survival rates .